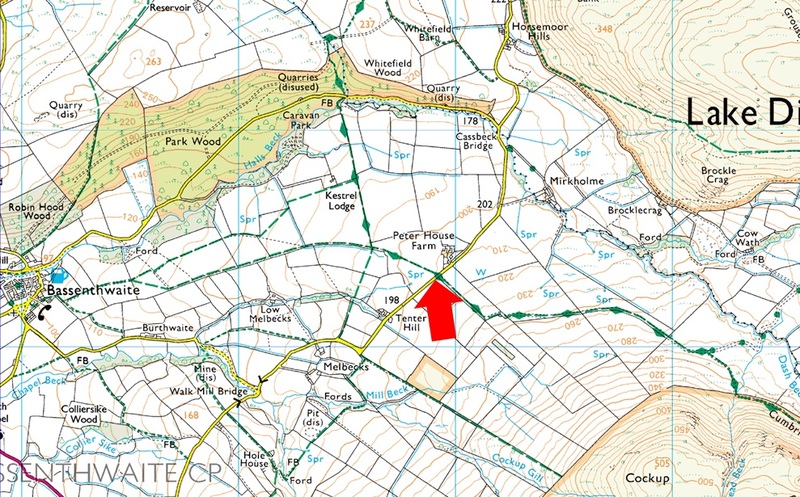 Notes: There is room for up to seven cars just opposite Peter House Farm with the Cumbrian Way passing right by leaving excellent access to the Uldale and Back O'Skiddaw fells. The parking spaces can be found on the right hand side (if approaching from Bassenthwaite) with two metal gates which open out on to the Cumbrian Way. Parking is free.